Uganda Village Project (UVP) is wrapping up one of the thrice-yearly fistula repair camps that happen at Kamuli Mission Hospital. We partner with the UK Childbirth Injuries Fund to run the camps that offer a new start to women with fistula. UVP conducts community outreaches to teach rural areas about fistula and identify women who are in need of repair. The UK Childbirth Injuries Fund sends surgeons to support the local facilities and provide surgeries to heal women with fistula. Safina recovers in the hospital after her repair surgery. Photo by Uganda Village Project. Safina, a 25 year old woman from eastern Uganda, is one of those women. She had heard about how important it was to deliver in a health center during her visits to antenatal clinics during her pregnancy. The nurses at the health centers stressed the risk of delivering at home, so when Safina’s labor pains started she prepared to go to the health center. Her husband, however, refused, and took her instead to a traditional birth attendant. Safina delivered her healthy baby after two days of labor, but immediately after childbirth she began leaking urine. 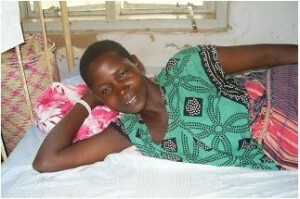 Due to prolonged labor, she had sustained an obstetric fistula and leaked for six months. Although devastating, Safina is one of the lucky ones. She attended one of the repair camps last year and is now fully healed from her injury. Our fistula activities will increase this next year because of a recent grant from the Fistula Foundation. We’re excited for the opportunity to provide life changing surgeries for women, and conduct outreaches that prevent women from encountering fistula in the first place. Safina is proof of the difference that we are making with your help. Thank you for helping Safina be repaired and start a new life. 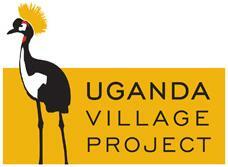 Click here to view the Uganda Village Project blog.